The engine was built for Richard Thomas and Baldwins of Ebbw Vale and worked there before moving to the nearby NCB Celynen South Colliery. 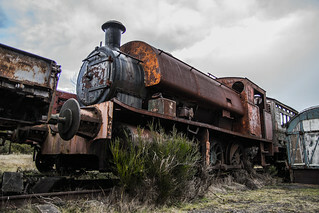 It was preserved in 1972 and came to Tanfield in 1989. It awaits it's turn in the restoration queue.